Low-level cement silos are used to hold and discharge cement and other powder materials such as PFA. Utranazz SPF range of available low-level cement silo hire are fully-mobile with capacities from 10-75 tons. They are simple to transport, easy to set up on site and come equipped with an electronic weighing system with digital display and printer. This allows any quantity of cement or powder discharged to be controlled and also provides an accurate indication of what remains inside the cement silo. 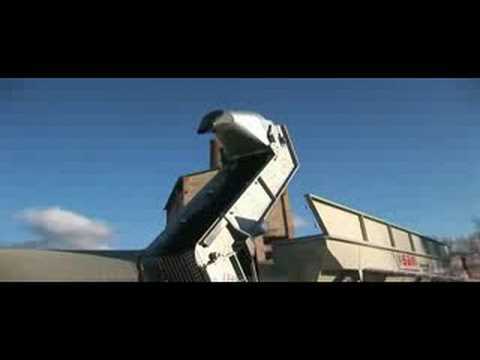 All cement silo hire can be used in conjunction with Bin-Fed Concrete Batching Plants. The low-level cement silo can be fitted with an array of optional accessories including electronic weigh-batching equipment, radio remote control and water system with onboard tanks. A cement silo is supplied to full EU specifications, all cement silos in the range conform to the latest safety regulations including fitment of high and low-level indicators, pressure relief valves, filtration units, safety ladders, rails and feed-pinch valves.